These stories may only be reposted with my permission (contact e-address is stickmaker@usa.net ), and my name and Copyright notice must be left intact. Go to my Transformation Stories page. The Fox Kid series is about an American-born kitsune and his friends and family. Includes the Jackie and Jill stories and the Fox and Wolf tales. Massive update to the Foxx and Wolf stories, on 09/14/2005! The Gifted Saga is about a group of people who are gifted/inflicted with various powers and alterations of form when magic reenters the world. Bastion, Part One A young girl is part of a family entrusted with guarding one of the last bastions of the old magic on Earth; a gateway to Arcadia. Bastion, Part Two The next part of the story, set just after The Old Family Farm. The Old Family Farm A man discovers something interesting on his parents' farm. Murder At The Shapeshifter's Ball A hard science fiction shapeshifting crime story, where the victim and suspects are nanotechnology hobbyists. The Changeling Chronicles All over the world, at a particular moment, creative people are transformed into the character they're thinking about. Patchwork World Reality mixes 'n' matches as portions of various alternate Earths come together in one world. Altercation Fan fiction set on Mercedes Lackey's world of Velgarth. Posted with permission. The Dark Hills A role-playing game scenario set in southeastern Kentucky, using White Wolf's Werewolf: The Wild West rules. Dropout Why we should go back to the Moon NOW! Plans Gone Awry Innovation wins over bureaucratic dogma. 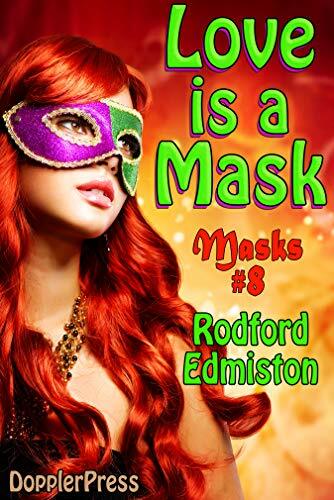 You can also still buy the first three Masks stories at the same link! Masks XV: It's War! On July 5, 2013 I posted the complete fifteenth Masks story. Masks XV. It's War! New story: Pack Member posted May 18th, 2006. You are the visitor to this site since the counter was started, in December of 1997. You are the visitor to this page since the counter was started, in April of 2006.